one of my favorite shows: christmas mashups. you know mashups: take a bit of this song, mix it briliantly with that song, and blend two completely different emotional and musical contents into one new outrageous song. well this year, the challenge is even greater, as i found some brilliant, creative, outrageous, hilarious, and touching musical christmas mashups. you'll hear led zeppelin, u2, the beatles, motown classics, and lines like the police classic: "rudolph the red-nosed raindeer, you don't have to put on the red light," and mashups of smokey robinson/jingle bells/queen that will leave you breathless and amazed (and perhaps laughing in the spirit of christmas creativity). it all started years ago with david bowie/bing crosby which inspired combinations like muse's "madness" mashed with "white christmas," the soon to be classic "don't worry be happy/winter wonderland," and "carol of the bells/papa was a rolling stone." and there's the beatles's "feliz navidad" that you'll swear is better than the original of both songs that are mashed. 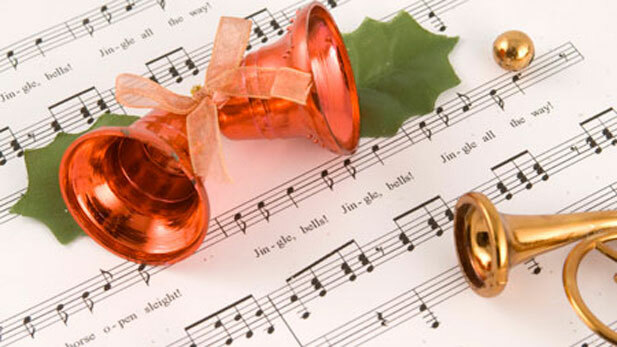 this hour ends with my own mashup of 6 different versions of "carol of the bells." each combination gets better and better if i do say, which makes this the best show i've ever done. and i do say so. When my kids were small, I ordered a personalized book for them. It had their names in the story, and the names of their pets, but it was a cheaply made paperback and the story wasn't memorable. Still, they liked seeing their names in print. Today, print-on-demand technology has changed the publishing world in many ways; not the least in the availability of high-quality, hard cover children's books from companess like ISeeMe.com. This week on Writers' Voices, we welcome Maia Haag, President of I See Me! We will be talking with her about how the business was started, and the technology behind it; how they work with authors and illustrators, and the impact these lovely books have on children. In the second half of this Christmas special, Caroline will share some of her favorite Christmas stories collected over the past almost 80 years! Join us for another Writers' Voices Christmas! Because I hear that for the next four weeks the Wildflowers Café will have some of the best Christmas music around, music from different genres, countries and periods. So be sure to tune in, and I can guarantee you won't have a blue Christmas. Ba rum pum pum pum. 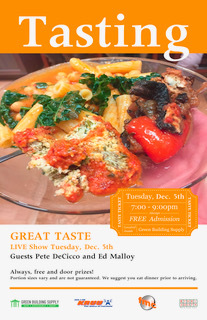 TONIGHT: LAST LIVE GREAT TASTE OF THE YEAR! It's the Indian Hills Culinary crew along with musician Tom Allen tonight for 60 minutes of delicious radio. Join us for a menu of holiday fare-turkey and turkey dressing, roasted potatoes, cabbage rolls, Christmas mice(? ), and maybe an apple tart. OYSTERS, DONUTS, AND A YULE LOG! It's perfect listening on KRUU's Great Taste for holiday party ideas as Chef Julia Punj prepared oysters-raw with a riff on traditional cocktail sauce, baked motoyaki style, and pan-fried with a salsa verde. This weekend we're featuring music from A Family Christmas, the brand new holiday release by The Piano Guys. Pirate Satellite usually means ambient electronica, but during the Christmas holidays virtually all genre restrictions fly out the chimney with Santa. As the Piano Guys write on their site: "We believe as Bobby McFerrin once said, listening to only one kind of music is like insisting on living in only one room of your home your entire life." The album "features new takes on Christmas classics such as "Let it Snow," "Winter Wonderland" and "We Three Kings." It's A Family Christmas and other holiday joy, Saturday morning, 9:00 AM Central. We'll post the playlist afterward.